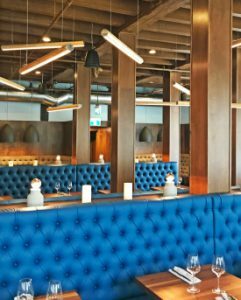 On this project, The Five Fisherman restaurant in Nova-Scotia, we chose the Silo model of our Wood Series lights for general illumination. In conjunction with their agent Next Marketing & Sales, they created a cool lighting scheme having the lights suspended at different heights and illuminating with a warm 3000 Kelvin led light engine. 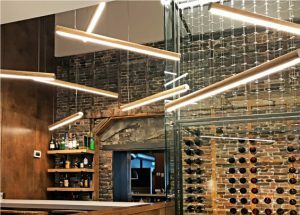 Although the wood series light can come in any length from 12 to 144 inches, for this space, a 48 inch fixture was deemed the best size to keep warm and friendly atmosphere of this Halifax business. 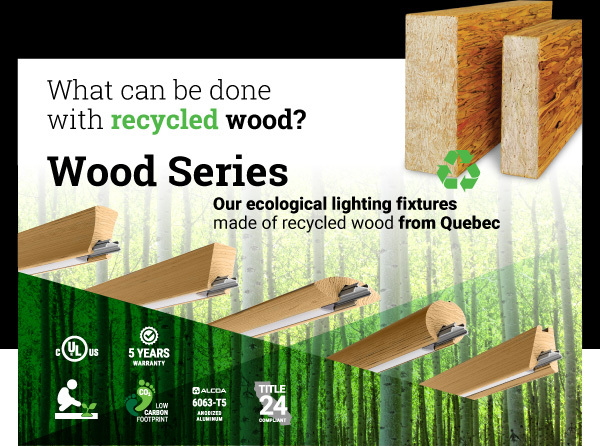 LumenTruss offers a variety of wood and aluminum profiles to house various tape platforms depending on your lighting needs. The wood series includes 5 different styles that can even be stained in the field to further add that signature style to your next project.